Forest Garden 4 x 6 Premium Tongue and Groove Pressure Treated Apex Shed: This premium shed from Forest Garden features the top of the range features such as tongue and groove shiplap timber panels which are tight fitting to protect against wind and rain, both the roof and the floor are made up from tongue and groove boards, the floor boards are pressure treated for a longer more durable lifespan. 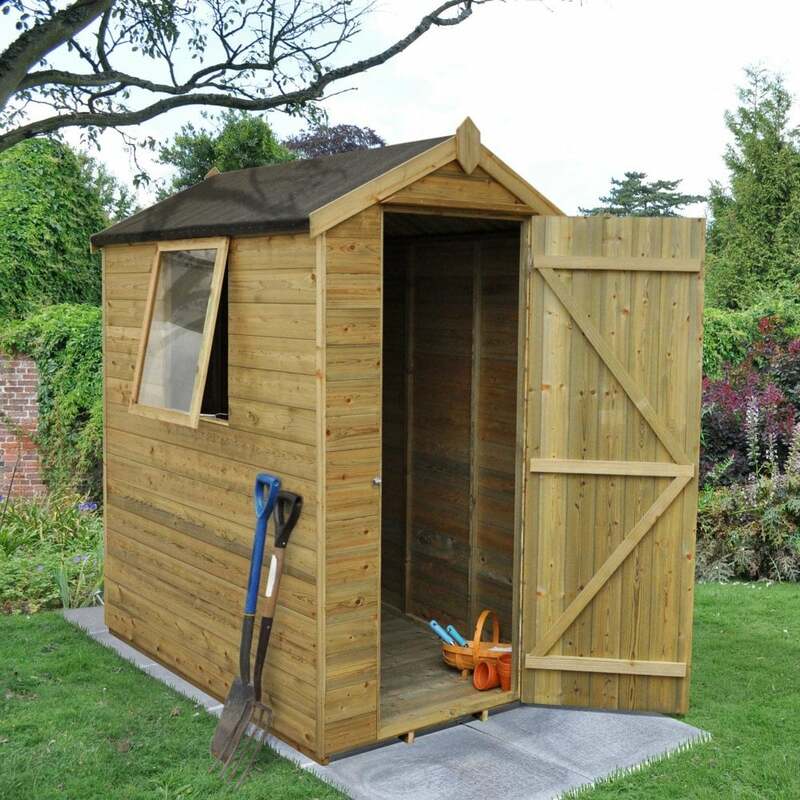 This shed is pressure treated in the factory to protect against rot and fungal decay and includes a 15 year guarantee. You can purchase your new shed without worry knowing that the timber is all FSC certified from a sustainable source. This garden shed has a single door with double Z framing for added strength and the high quality stainless steel hinges are hidden for added security and the door is supplied with a pad bolt which includes handle, lock and key for optimum protection for your belongings. This shed has 1 window with premium acrylic glazing and high quality stainless steel fittings are included. This garden shed is delivered in kit form for simple assembly by 2 or more people.